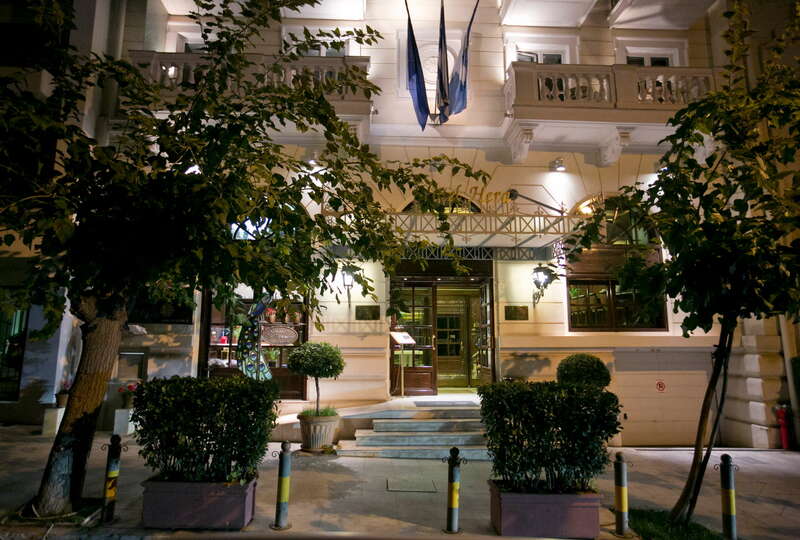 Attention to elegant detail—the lobby's marble floors, wood panelling, and leather sofas—reigns at this small and elegant hotel, a good value for money that is conveniently located just across the street from the Acropolis Museum. YOU SHOULD KNOW The Hera is just a five-minute walk from the Acropolis itself so the rooms on the third and fourth floor—and the restaurant—offer a full view of the marble wonder. 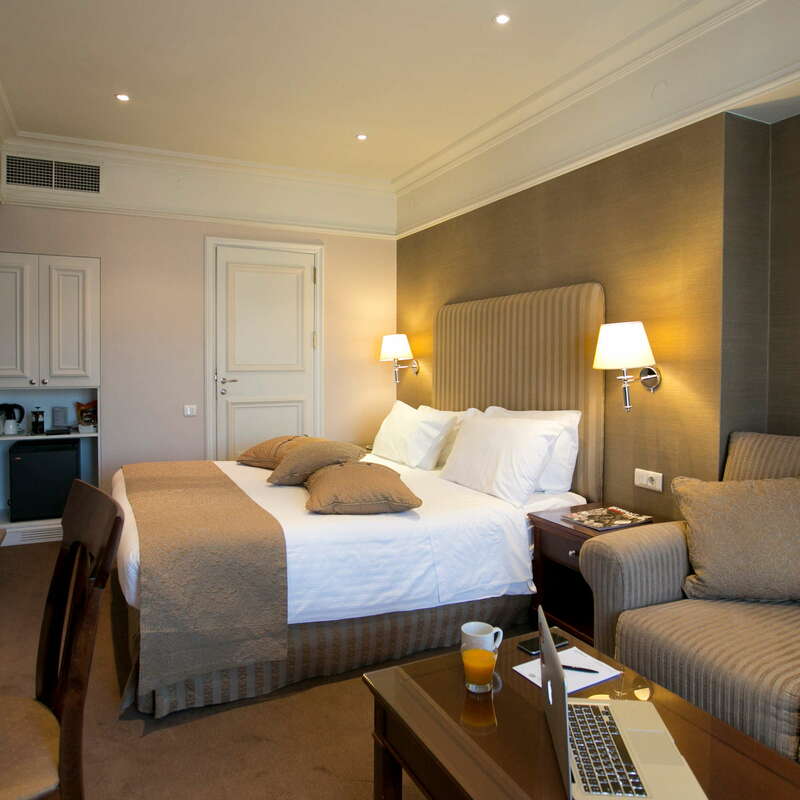 The guest rooms are a bit on the small side for US standards (but normal for European!) and are done up in soothing dark browns, deep greens, and straw colors. 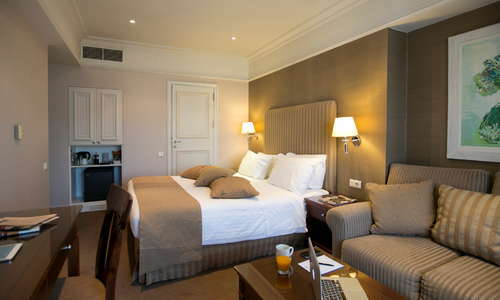 The junior suite with Parthenon views has a spacious terrace and the perfect place to unwind (with some wine). Rooms at the back have no views. 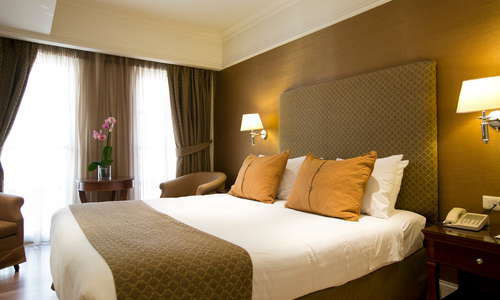 Ask to stay in a renovated room. 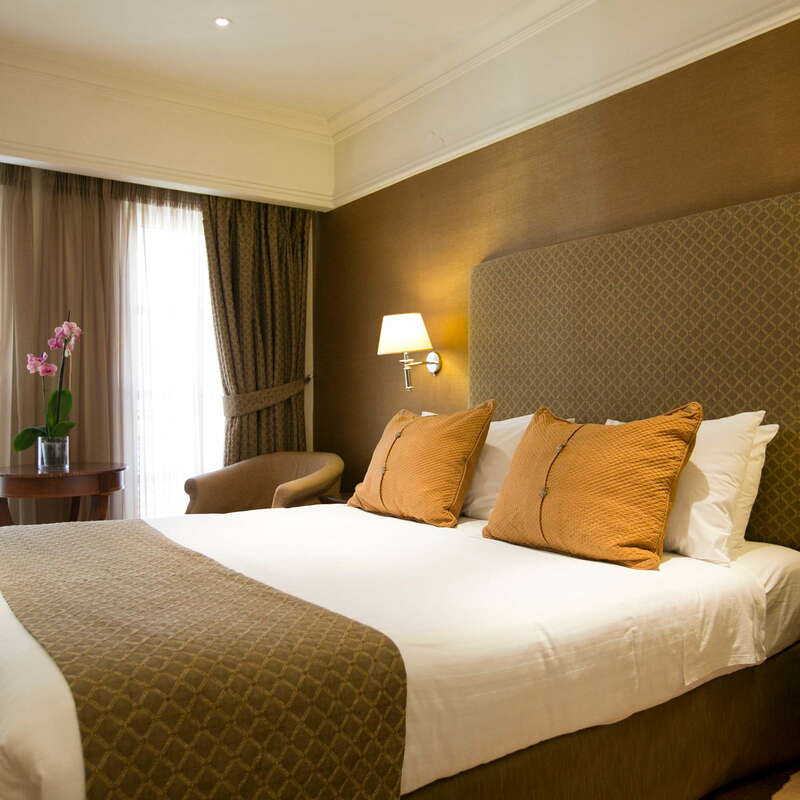 Most of them are fresh and up to date, as the hotel is currently undergoing a gradual refurbishment. 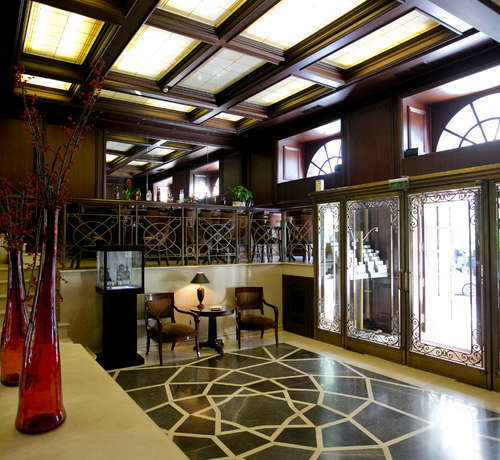 It emanates Art Deco elegance with its wood panelled walls and marble flooring, and you sometimes get the feel that you have just walked into an Agatha Christie novel! Buffet breakfast is served between 7-11 on the hotel's atrium (early breakfast is availableon request). For a romantic dinner or drinks, head to the roof-garden deck where the gourmet Peacock restaurant perches among soaring columns. It is not the cheapest option but you will appreciate the undivided attention, and the small but immaculately prepared menu with Mediterranean dishes. The Peacock can also be a great starting point for evening cocktails before heading out to dinner. There is also a small bar by the entrance lobby with distinct wooden panelling and a small sitting area. The hotel can arrange transfer to the El. Venizelos airport for 45 euros. The Acropolis metro station is just 5 minutes away, you can then change at Syntagma station and take the green line all the way to the airport. The train ride costs 9 euros at the time of writing (one way). Many major attractions are an easy walk away and taxis are easy to find in the area. 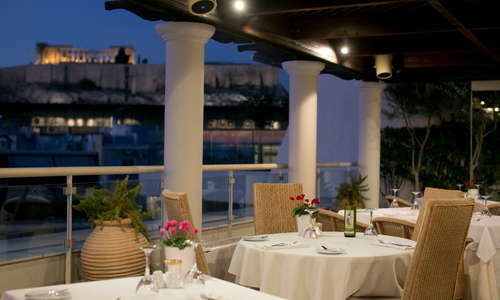 Mani Mani, with Peloponnese delicacies is just across the street (1-minute walk). For something different, why don’t you also try the Acropolis museum restaurant (5-minute walk), which is open until late in the weekends. With a free ticket admission, you can head to the panoramic sitting area on the 2nd floor and enjoy traditional dishes such as Cretan pilaf with staka (fresh cream butter) and homemade lamb kavourma and for dessert baklava (sweet pastry made of layers of nut-filled phyllo pastry) served with cinnamon ice cream. If you want to find out all about Greek wines, head to tiny Wine o’clock (5 minute walk). Tucked away on a small side street, it offers a reasonably priced glass and tasty snacks to accompany your selection (plus a couple of beers). Tiki Bar is just a couple of minutes’ walk, ideal for a cocktail or two and some late night partying in an exotic ambiance. 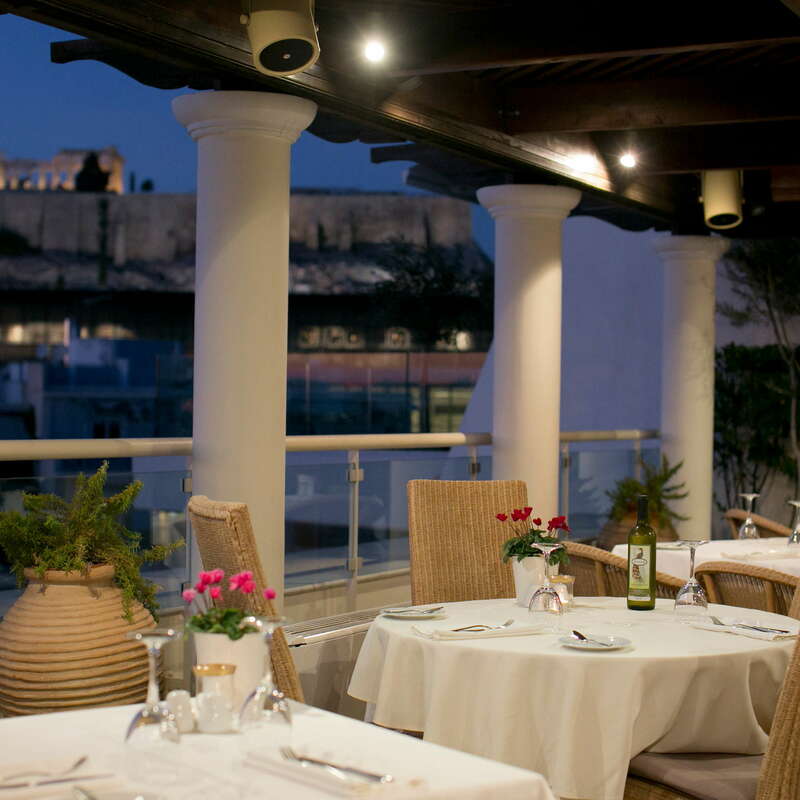 The Hera offers an unbeatable location for covering all the must-see attractions, a good level of cleanliness and service and a treasured Acropolis view from the dreamy roof garden. 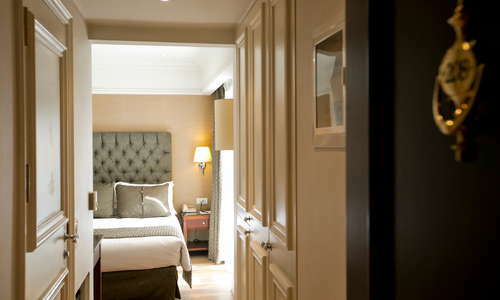 It is a great practical base which emanates discreet Olde world luxury at least in its communal areas. 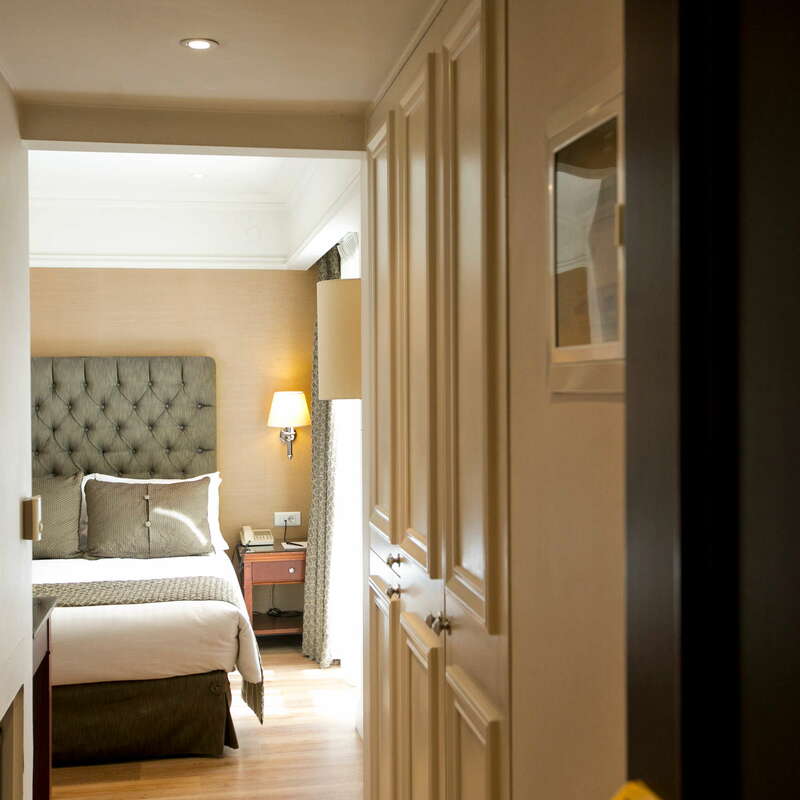 Bypass all the refurbishment work that is currently underway by asking for a renovated room.